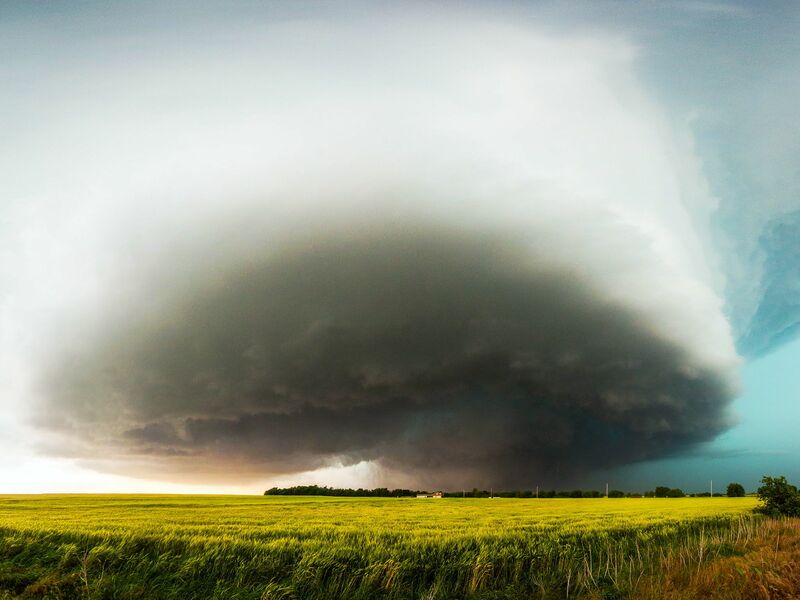 El Reno, Oklahoma.- At 6:02PM CT on May 31, 2013, the first vortex of the El Reno tornado touches down SW of El Reno, OK. 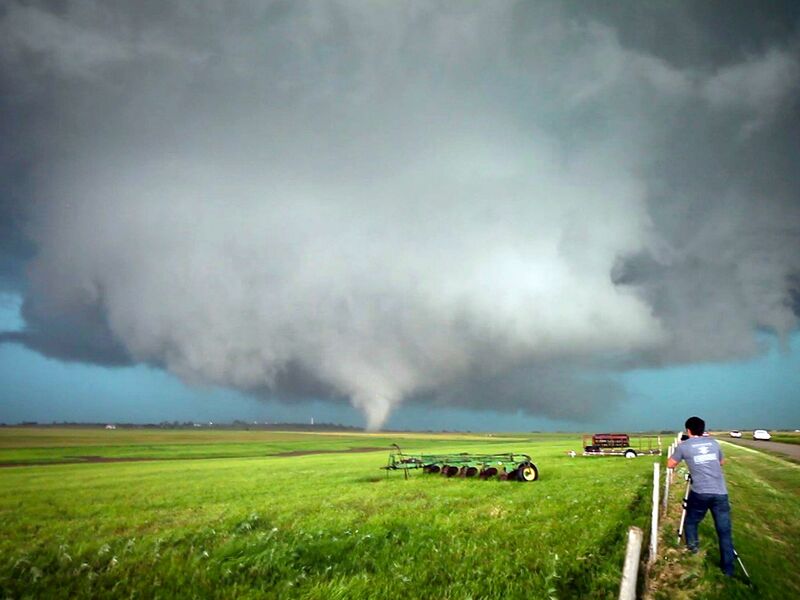 This storm chaser stands in awe in front of the grand funnel cloud that will soon develop into possibly the largest tornado in history. This image is from Richard Hammond's Wildest Weather. 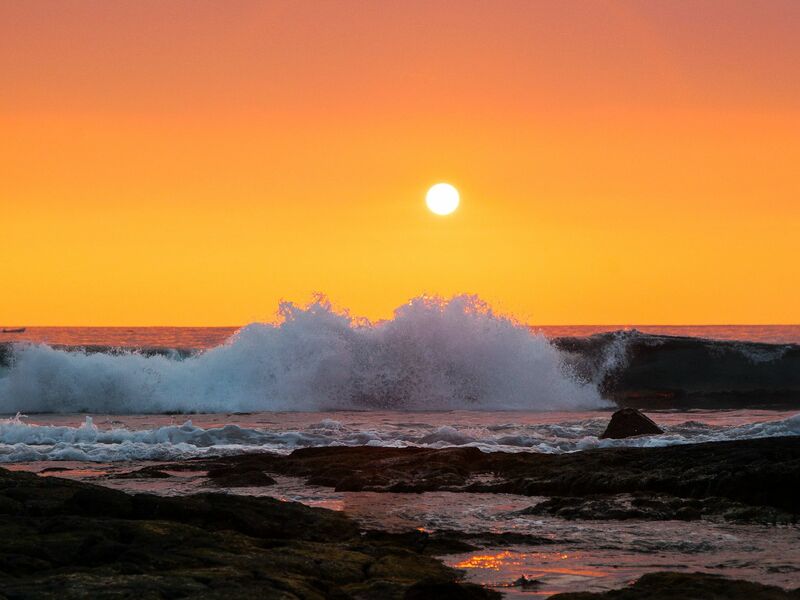 Tide rolls in at Sunset onto the rocky Kona shores. This image is from United Sharks of America. 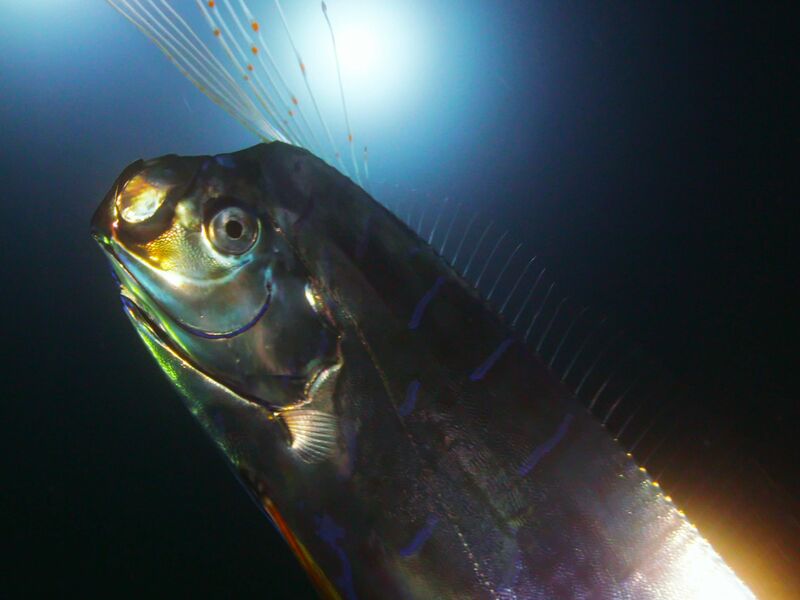 Mediterranean Sea, South of France: Nighttime close up of a Giant Oarfish. This image is from Giant Sea Serpent: Meet the Myth. 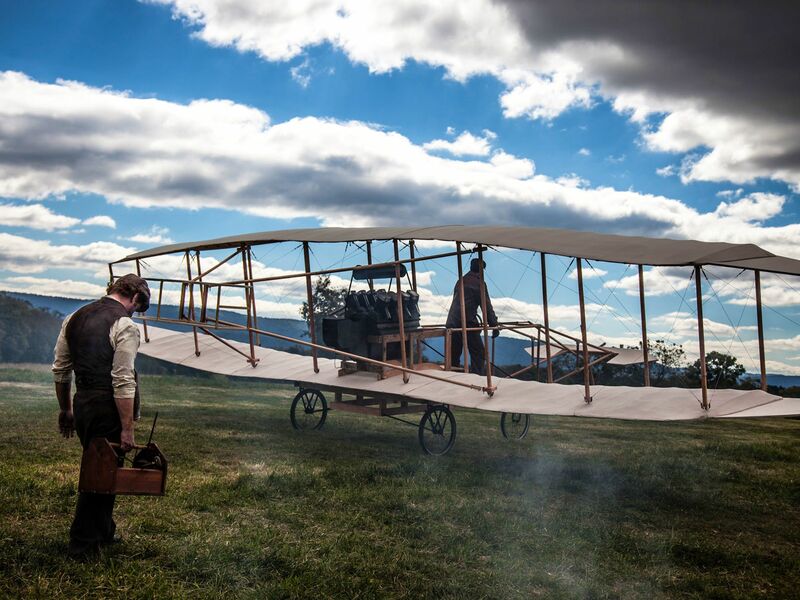 Reenactment- Glenn Curtiss prepares to test fly his airplane, the "June Bug" for the first time, the day before a widely publicized aeronautics contest. This image is from American Genius. 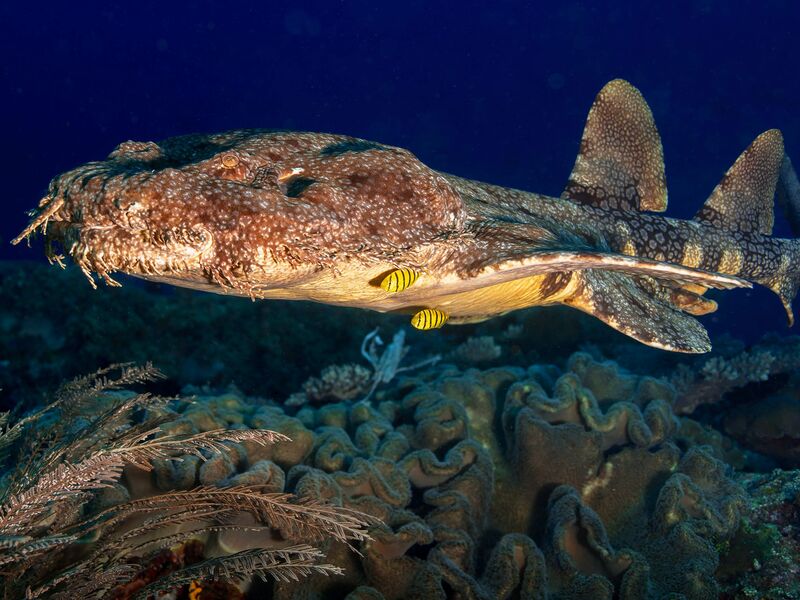 The wobbegong is the giant whale shark's closest relative. This image is from World's Weirdest. San Francisco, California. - Shares of Apple Inc. rose more than 6 percent April 26, 2007 soaring above $100 for the first time after reporting quarterly profits that increased 88 percent on strong sales of its iPod's and Macintosh computers. 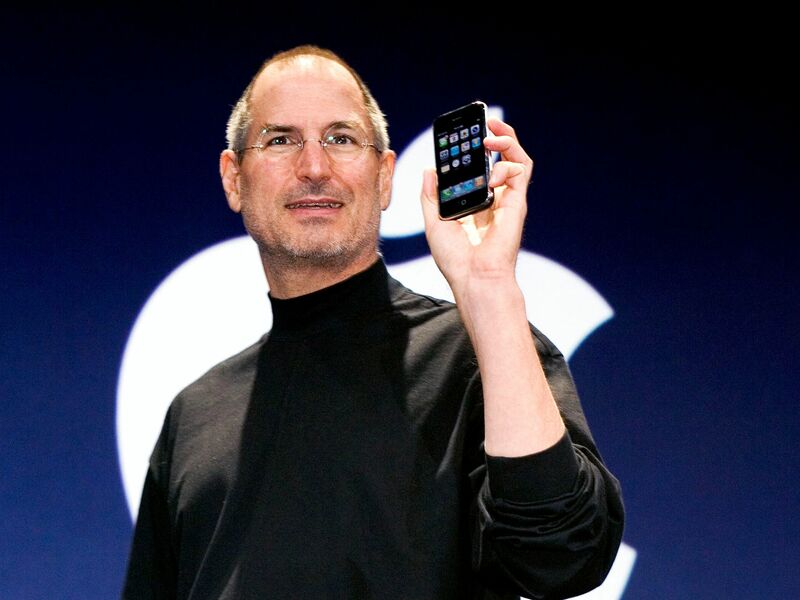 CEO Steve Jobs introduced the new iPhone in January 2007, which is scheduled to hit stores in June. This image is from The 2000s: The Decade we saw it All. 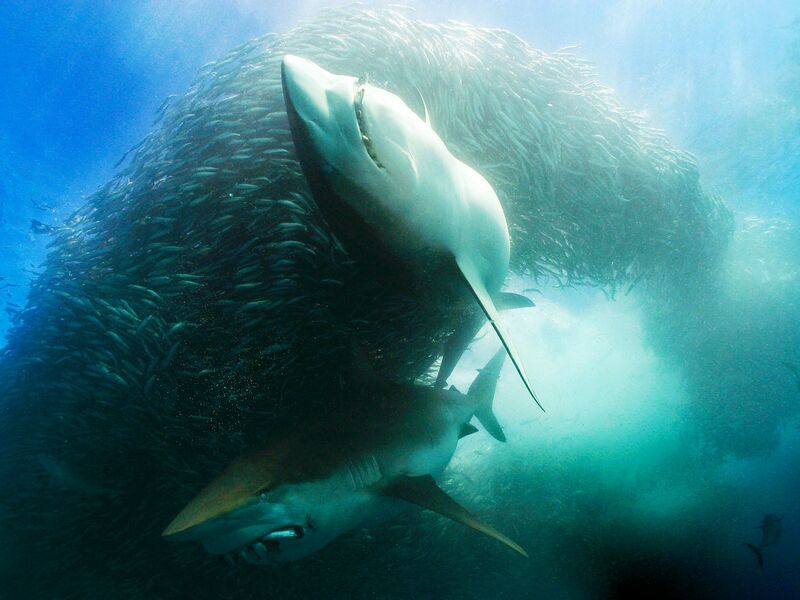 South Africa: Underwater scene of two Great White sharks with sardines in their mouths circling a sardine bait ball. This image is from Shark Alley. 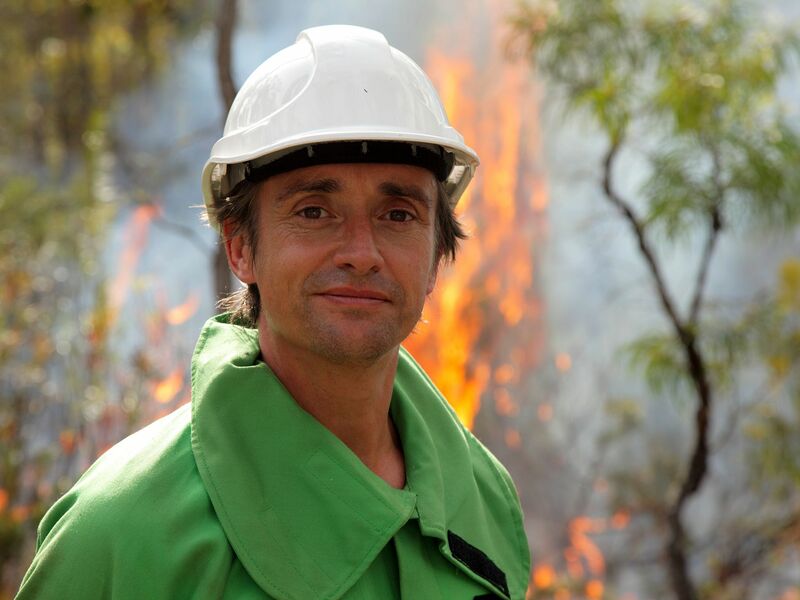 Bunbury, Western Australia - Richard Hammond in a prescribed burn in Jarra Forest. 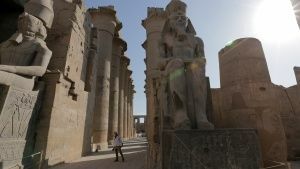 This image is from Richard Hammond's Wildest Weather. 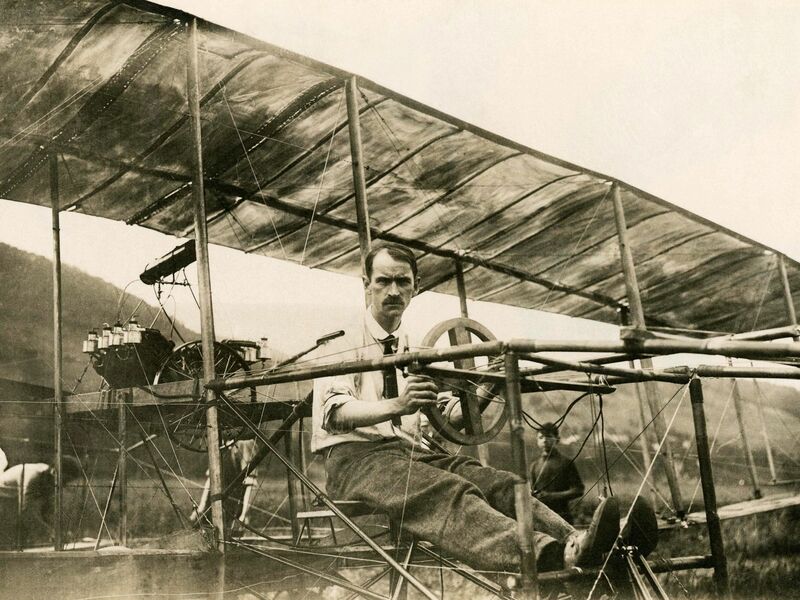 Glenn Curtiss in his Biplane, July 4, 1908. This image is from American Genius. 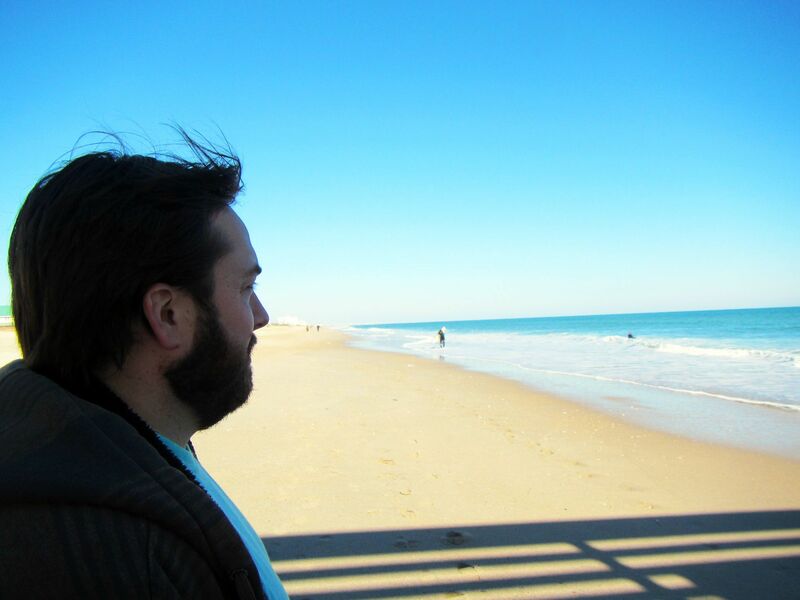 Topsail Beach, North Carolina: Patrick Bruff standing near the spot where he was attacked by a shark. This image is from When Sharks Attack. Essex, England - David Tracy shoots a football from a stationary position. This image is from Science of Stupid. Houston, Texas - Janet Jackson (L) reacts after fellow singer Justin Timberlake ripped off one of her chest plates at the end of their half time performance at Super Bowl XXXVIII in Houston in this February 1, 2004 file photo. The U.S. Federal Communications Commission on March 15, 2006 upheld its proposed $550,000 fine against 20 CBS television stations for a stunt involving pop singer Janet Jackson briefly exposing her breast during the 2004 Super Bowl football game halftime show. This image is from The 2000s: The Decade we saw it All. 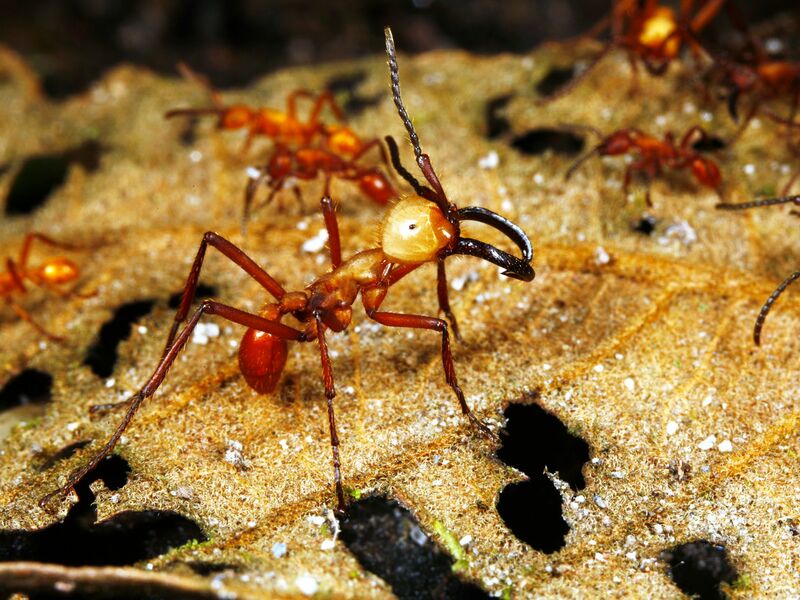 Army ants are blind, yet they are the great marauders of the new world jungles. How do they work with such efficiency? This image is from World's Weirdest. Bhutan: There is a place where nature and religion have combined to turn a tiny Buddhist kingdom into the world's last Shangri-La. Locked between Tibet and India, Bhutan is the jewel of the Himalayas. To the north, towering peaks rise to 25,000 feet. Alpine highlands fall to misty forests and mountain streams cut through gorges to warmer valleys and wide marshes. 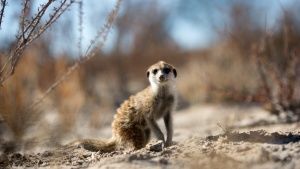 Landscapes finally descend to the jungles and grasslands of the southern plains. 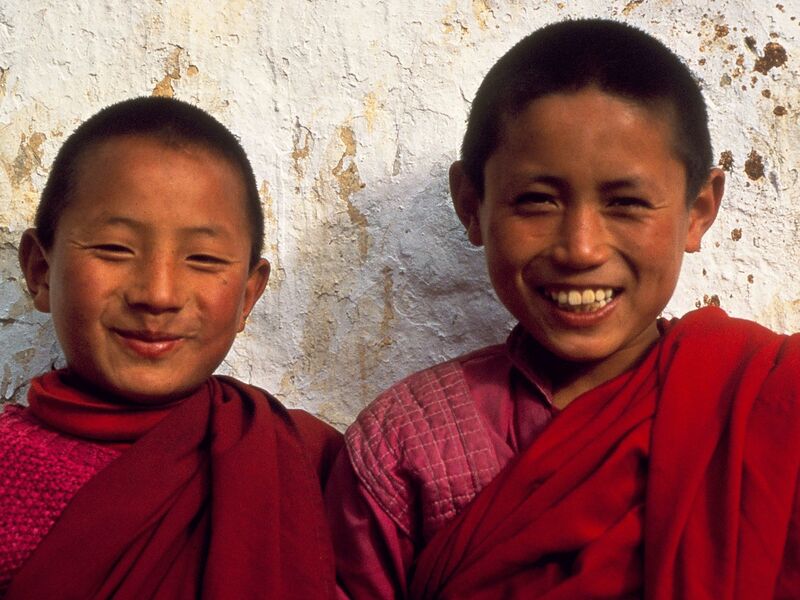 In Bhutan, respect for life endures, like the land itself. This image is from The Last Shangri-La. Macan and his eagle. 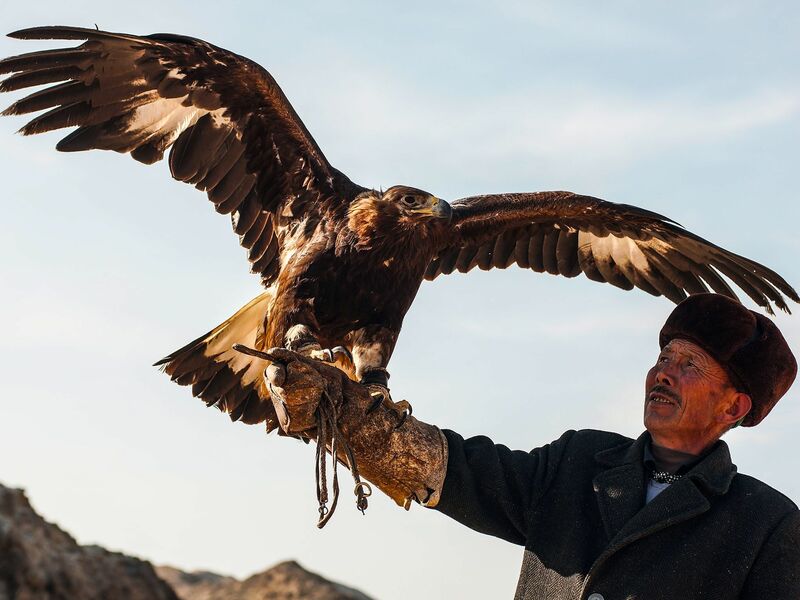 Macan, a master falconer, teaches his son how to hunt with eagles amidst a rapidly changing society, in order to save a dying custom and ancient way of life. This image is from Macan and the Eagle. Bikini Atoll, Marshall Islands- In 1946 the US Army performed a series of atomic bomb tests known as Operation Crossroads. 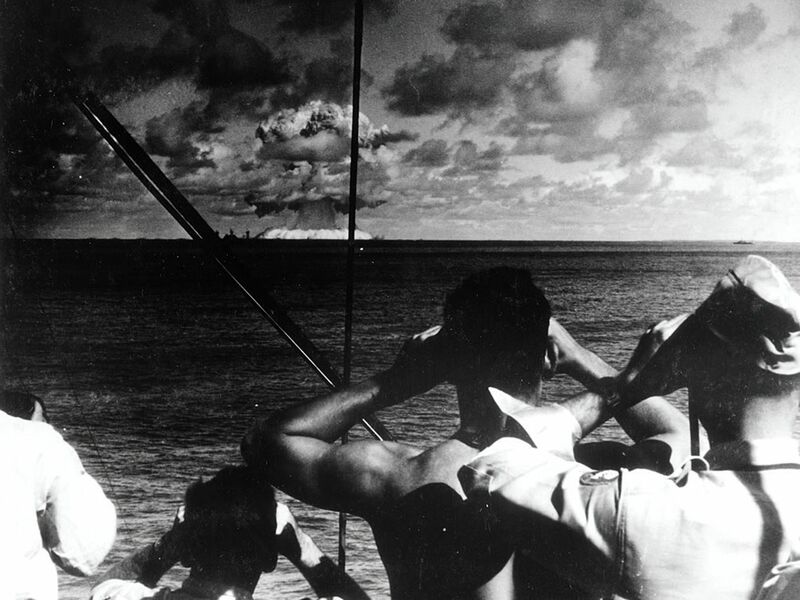 The second bomb named "Baker" was the world's first nuke to be detonated underwater. This image is from American Genius. 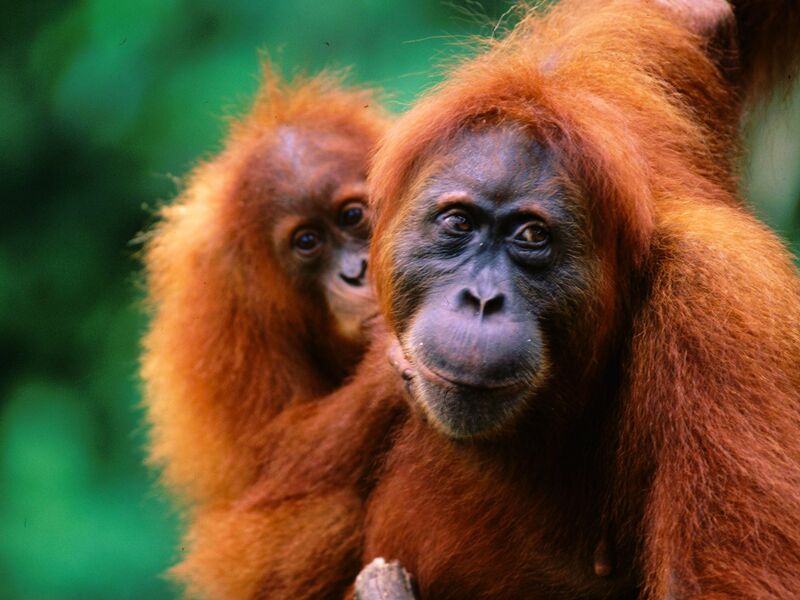 Baby orangutans are born high aboue the ground. Life in the branches is so precarious they don't leave their mother's side for at least two years. This image is from World's Weirdest. 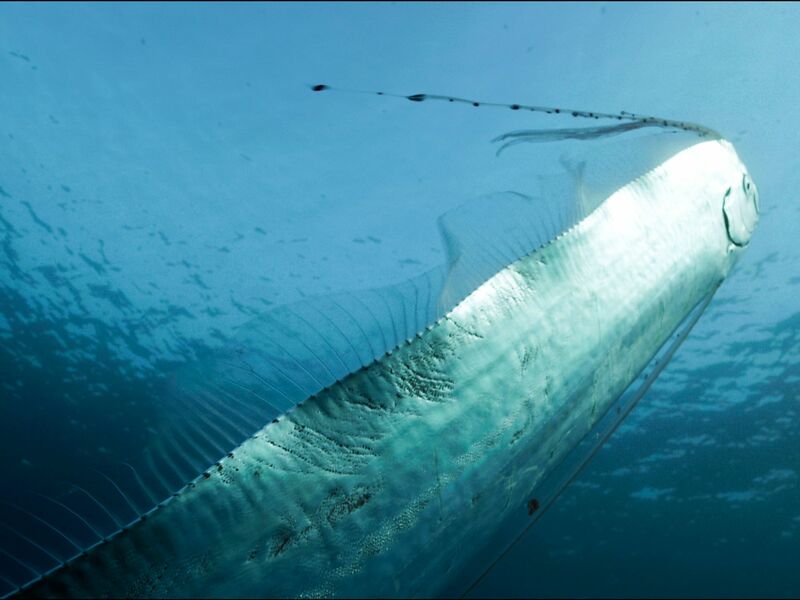 Mediterranean Sea, South of France: Giant Oarfish swimming in a vertical position towards the surface around the oceanographic buoy « La boussole ». This image is from Giant Sea Serpent: Meet the Myth. 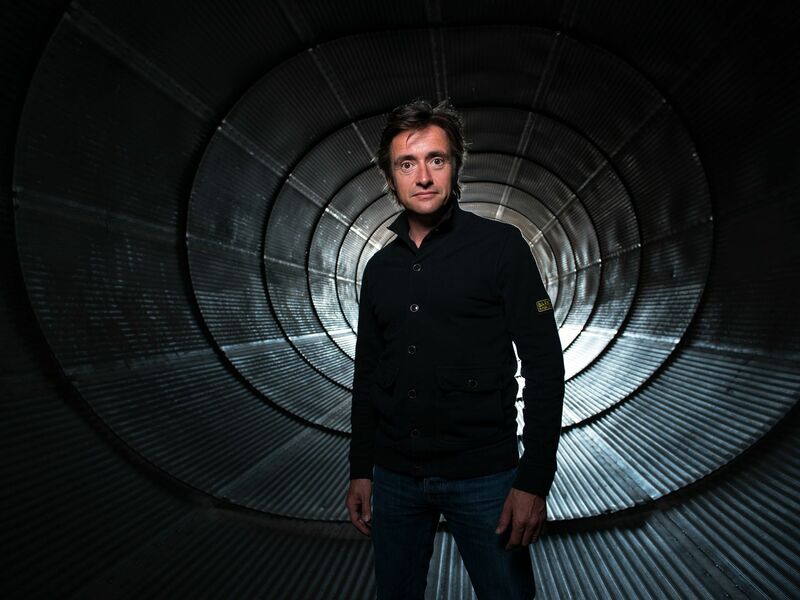 Host Richard Hammond. This image is from Richard Hammond's Wildest Weather. Lying in the far east of Russia is a wild and isolated realm that has been closed to outsiders for most of the last hundred years when a Soviet military base made this forbidden territory. 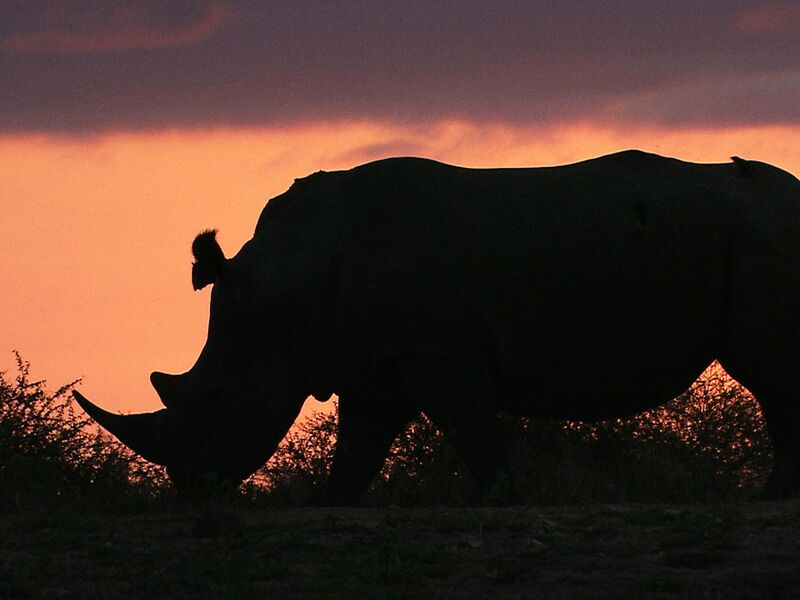 But wildlife was left to flourish. 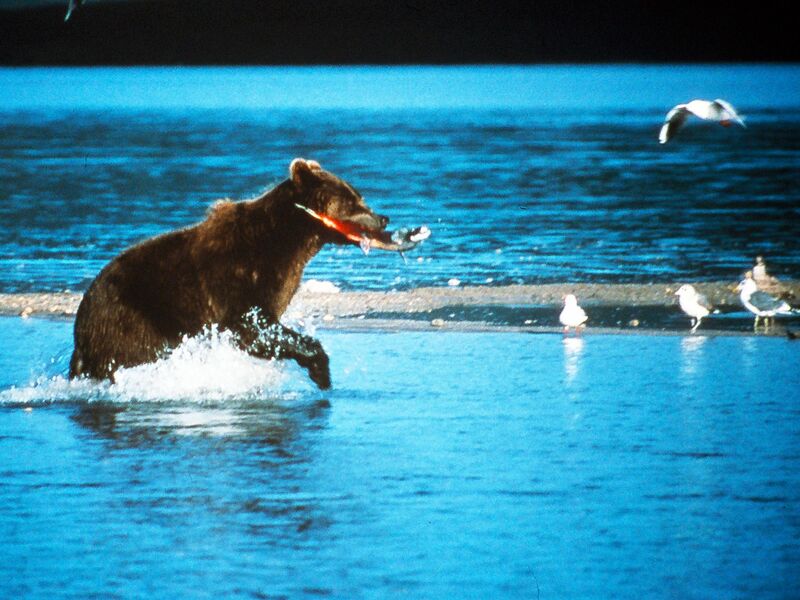 Compelled by the instinct to reproduce, millions of salmon journey to Kamchatka every summer, making it a haven for the some 10,000 grizzly bears that inhabit this land. Northern fur seals, the arctic fox and Stellar's sea eagle also call this harsh and beautiful terrain home. This image is from Land of 10.000 Grizzlies. 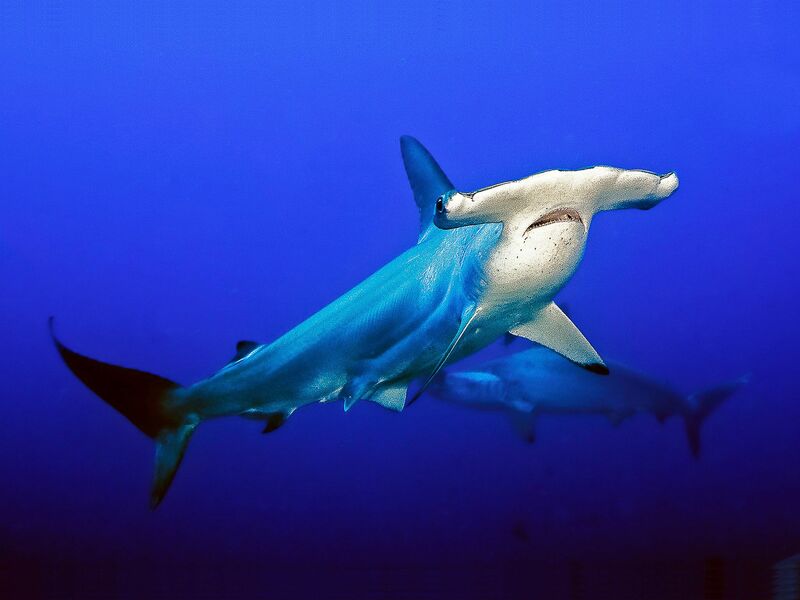 Hammerheads use their distinctive head wings like a metal detector to track down prey hidden beneath sand. This image is from World's Weirdest. 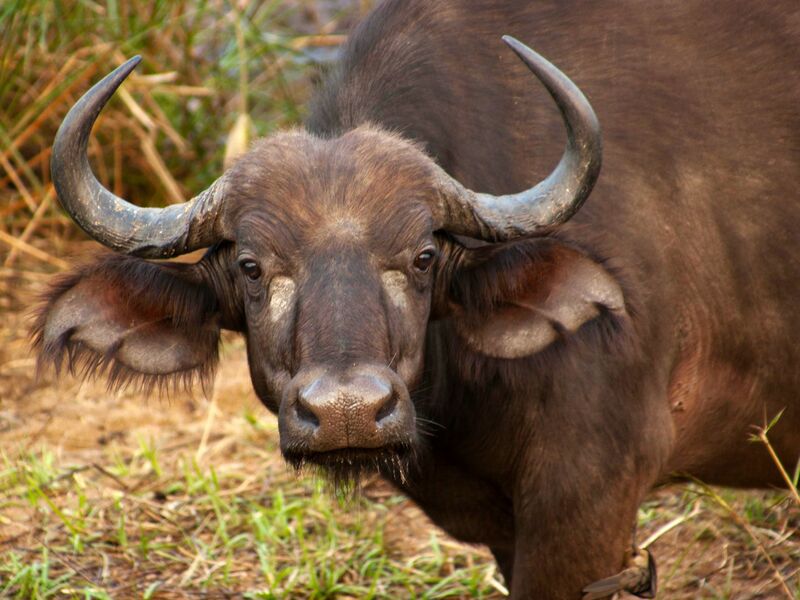 Africa: Buffalo. This image is from Africa's Dealiest. 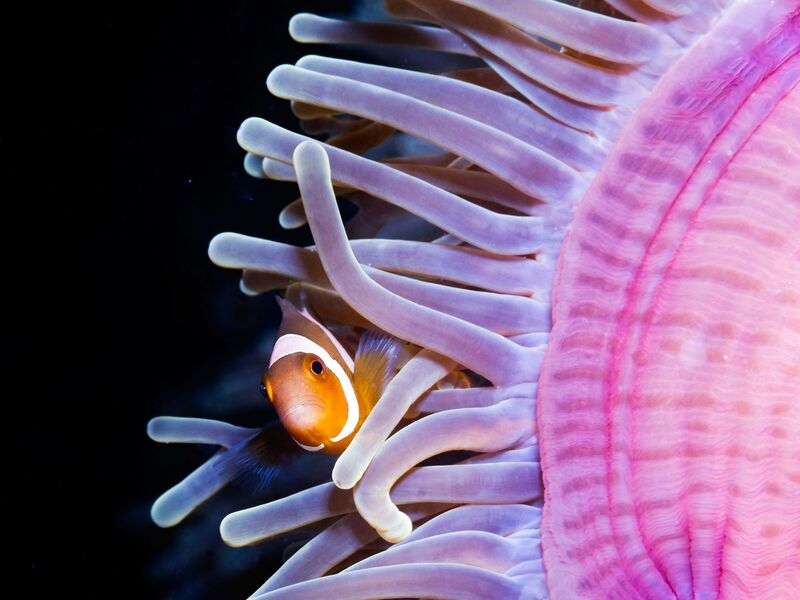 Clownfish bunker down among the venomous tentacles of the sea anemone. This image is from World's Weirdest. 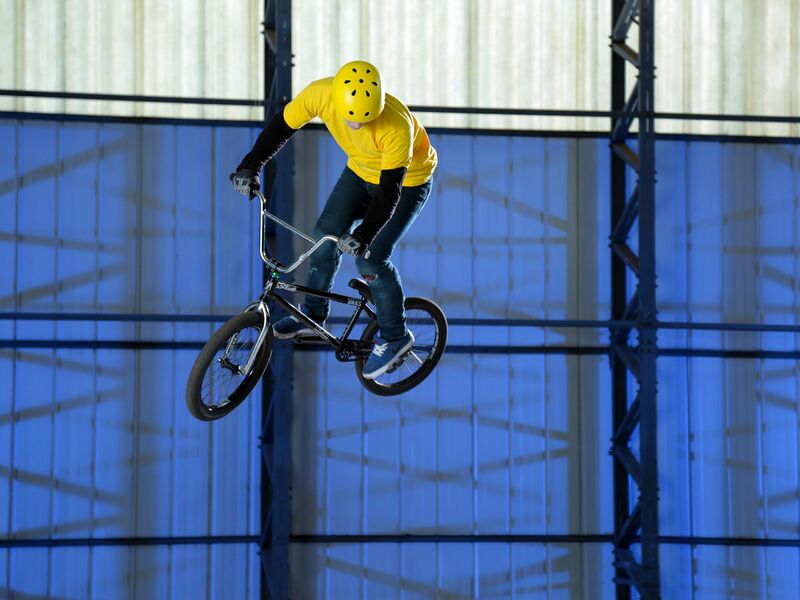 Essex, England - A BMX 360 performed by a contributor. This image is from Science of Stupid. 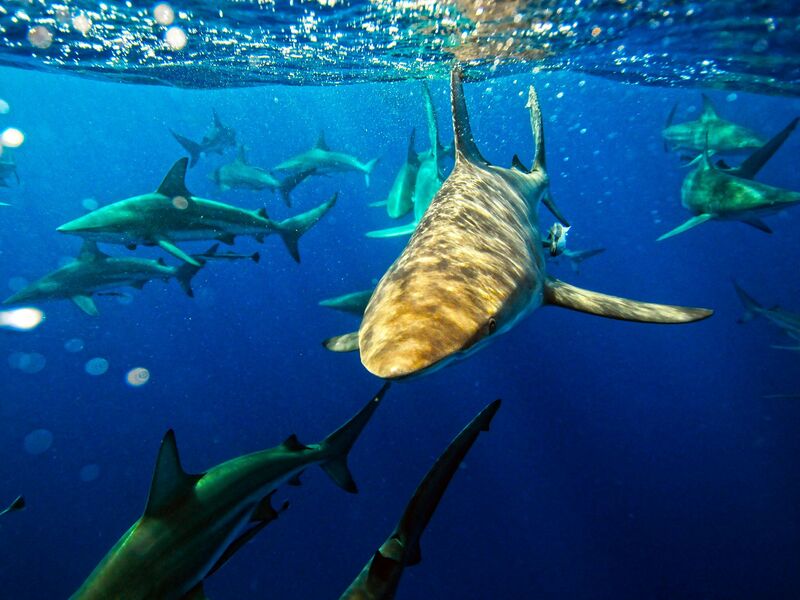 South Africa: Group of Black Tip Sharks swimming just beneath the water's surface. This image is from Wild Shark Alley. 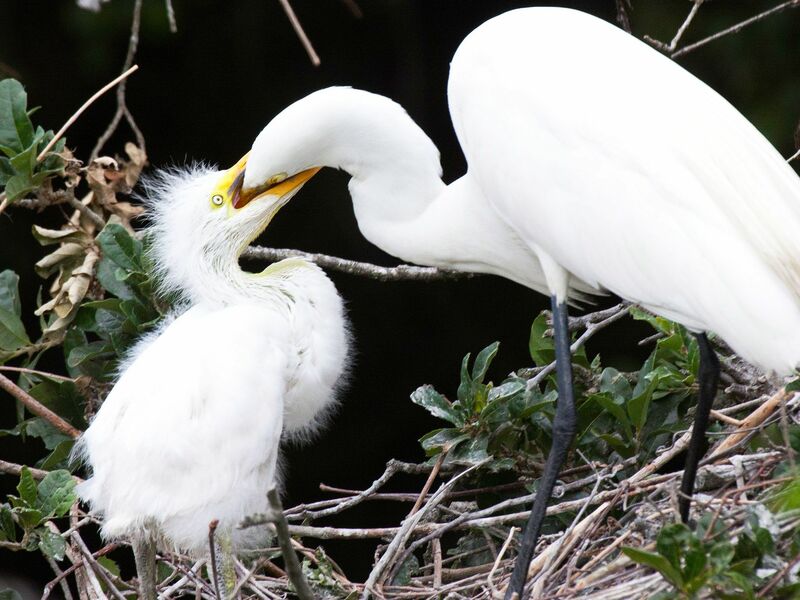 In Snowey egrets, the two oldest and strongest chicks often kill the younger and weaker one. The parents do not intervene. This image is from World's Weirdest. 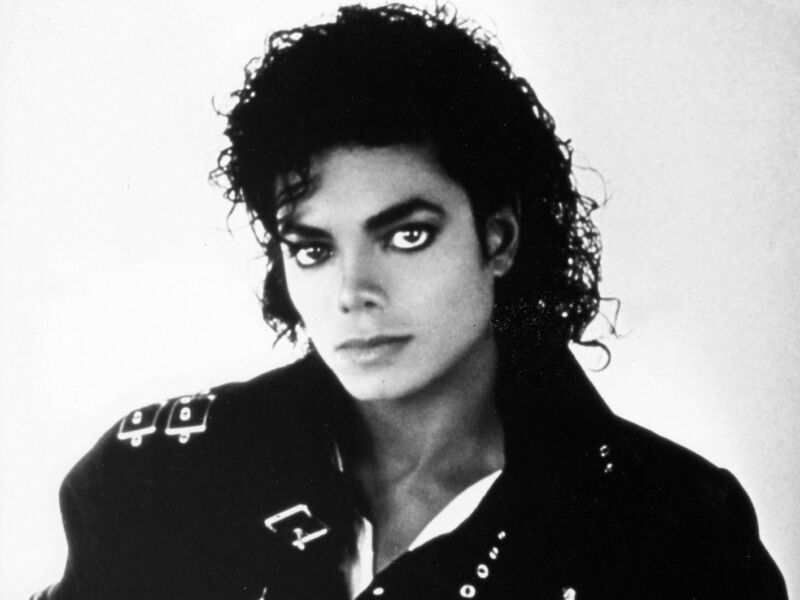 Michael Jackson in 1987. This image is from The 2000s Greatest Tragedies. 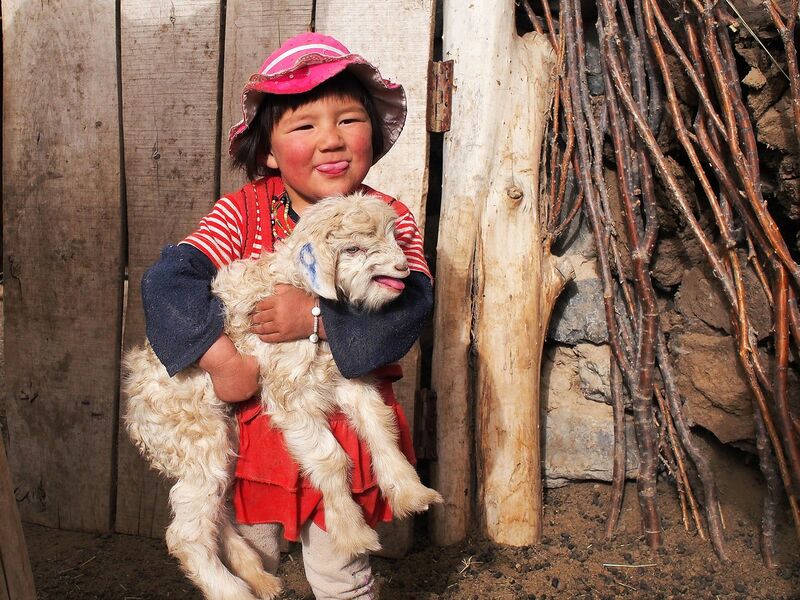 Macan's granddaughter playing with a lamb in the pen. 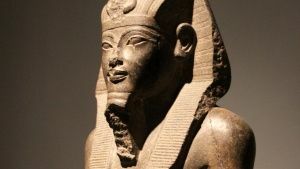 Macan, a master falconer, teaches his son how to hunt with eagles amidst a rapidly changing society, in order to save a dying custom and ancient way of life. This image is from Macan and the Eagle.